San Francisco- bread, chocolate and chowder! Then it was a walk along the pier, now I have to admit, by this time my husband was pretty skilled at the art of chowder eating- in fact I have never seen someone consume so much chowder in so few days- you go baby! So now in San Fran could he not only taste some of the best chowder on earth- he could eat the bowl! That is right San Francisco is home to sourdough bread- the best in the world! So chowder and bowl were very happily digested with the verdict that San Fran has the best chowder thus far on the journey! Our tolerance for the unrelenting wind ended so we headed inland up the steepest hill in the whole city to the crookedest street in America- Lombard Street – this crazy street gave us a least an hour of entertainment watching cars navigate the twists and turns- and even more interesting- watching tourists try to take pictures of it all!! We took a quick peek at China Town- which is the largest Chinatown outside of Asia. http://www.sanfranciscochinatown.com Always lots of hustle and bustle and sights and sounds to engage every single one of your senses. 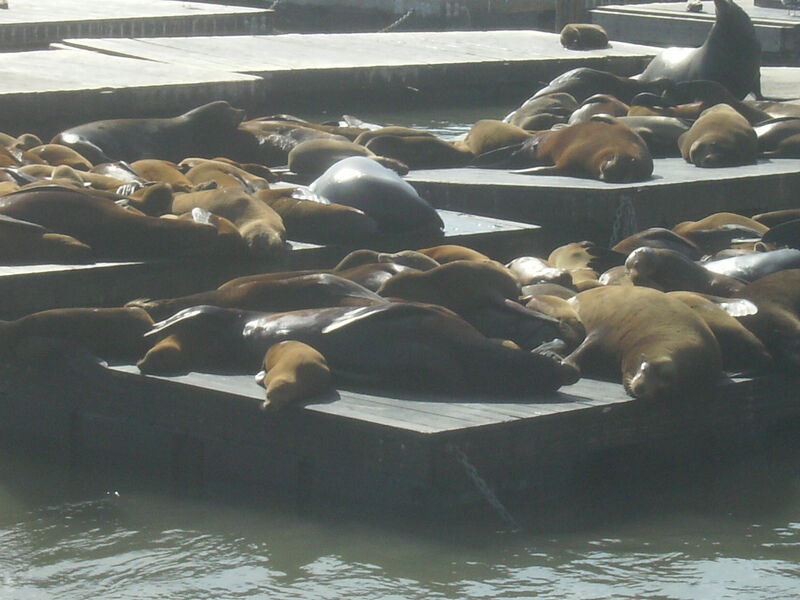 By this time we were starving and headed down to the pier to eat supper by the water. The most beautiful scallops landed on my plate and I don’t think I could have asked for a better end to an amazing day in San Francisco! 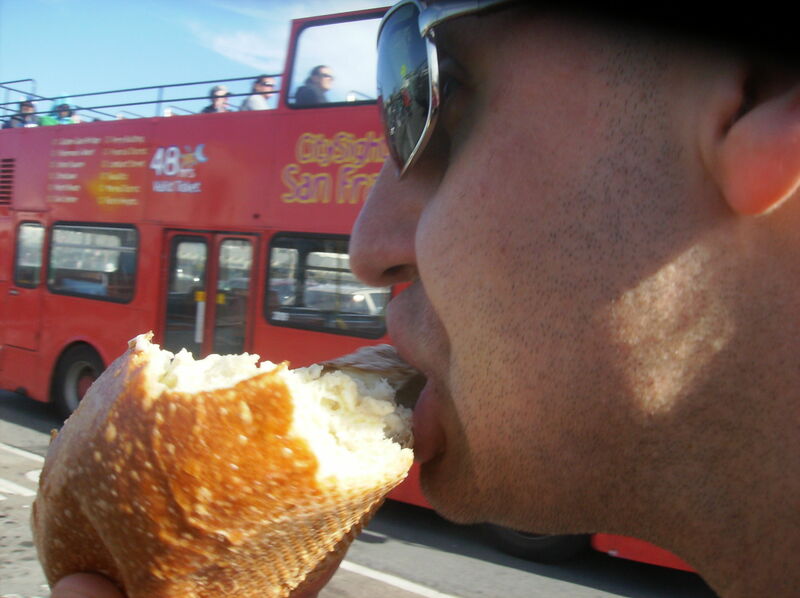 3 Responses to San Francisco- bread, chocolate and chowder! You know- it is been several thousand years ago that we were in San Fran together but I remembered the city like it was yesterday. We really want to go back for a long weekend. This time the cute boy I will follow is the one I am married to!! Great memories from our trip so long ago, especially the margaritas in Mexico! Thanks for being an adventurous travel partner!